Taapsee Pannu is one actress who doesn’t shy away from speaking her mind. She is known to be as bold and fearless in real life, as she is in her onscreen avatars. Now, there’s something that has pricked Taapsee Pannu extremely. 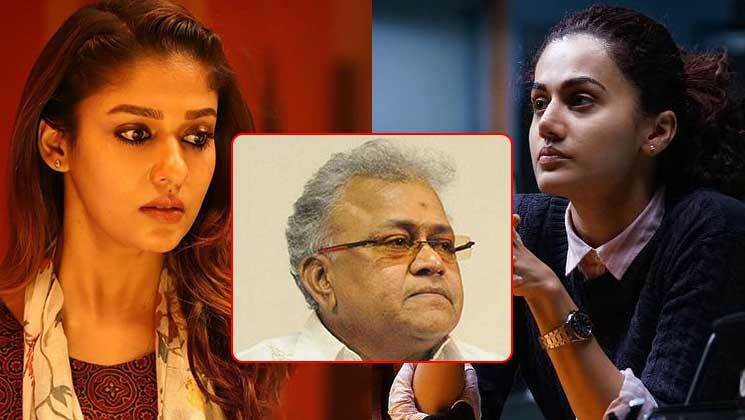 South actor Radha Ravi took a dig at Nayanthara for her role in ‘Kolaiyuthir Kaalam’. “In the film, Nayanthara acts as a Ghost, and then she goes on to act as Sita as well. She acts as Sita! Earlier, to play the role of a goddess, they would look for [someone like] KR Vijaya. Now, anyone can be cast to play a goddess. They can cast someone who you want to pray to when you look at them, they can also cast someone you want to call towards you when you see them,” he said at the trailer launch of the film. On the work front, Taapsee was last seen in Sujoy Ghosh’s ‘Badla’. The film is doing great business at the box office and has already crossed the 100 crore mark in worldwide collections.